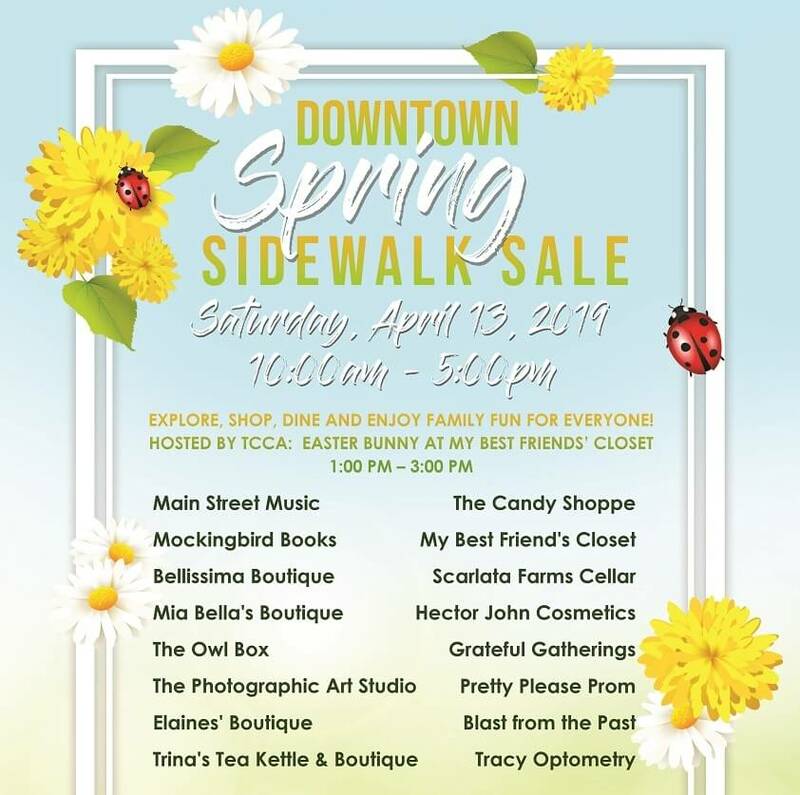 Help us kickoff ArtsWeek and the Easter Season with our Downtown Tracy Spring Sidewalk Sale! Participating Downtown Tracy merchants will have specials, activities, and opportunities to win a giant Easter basket along with a hunt for the Golden Egg! 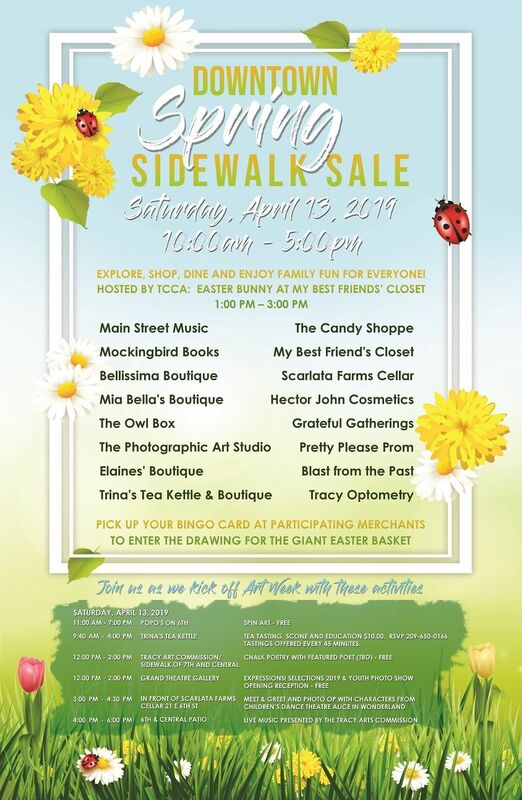 The day kicks off at 10am-5pm…don’t miss the Easter Bunny at My Best Friends’ Closet from 1pm-3pm.